a free option when you customize your MagicBand! Did you know that one of the most requested MagicBand colors in 2015 was purple? Well, Disney heard your pleas, and if you’re a fan of figment, Fear, or the Haunted Mansion wallpaper, you’ll be happy to know that the new purple MagicBand is now available. However, there is a catch…the long awaited purple MagicBand is not in the current lineup of free choices and there appears to be no plans to add it in the near future. If you want this beauty, you’ll have to shell out an additional $12.95 online or at select Disney World shopping locations. The purple option can also be used as a base for a customized MagicBand at the Tomorrowland Light & Power Co. in Magic Kingdom. These custom MagicBands start at $21.95. If you are looking for a more economical way to personalize your MagicBand, definitely check out Magic YOUR Band. If you aren’t familiar with this product, these adorable decals attach directly to your Disney World MagicBand creating your own personalized look. Guarantee the best vacation price by clicking here! 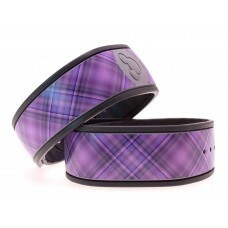 Were you hoping for a purple MagicBand? Is there another color or design you would like to see in the future? It shall be mine..already switched from my traditional green yesterday.